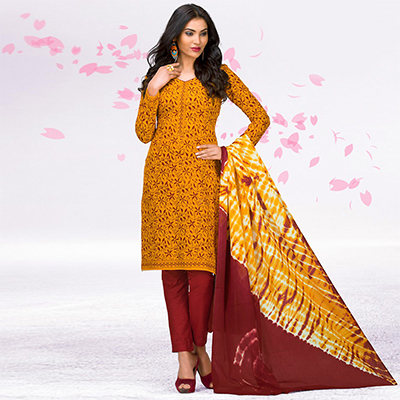 Be the center of attraction with this classy orange - maroon printed jetpur cotton dress material. 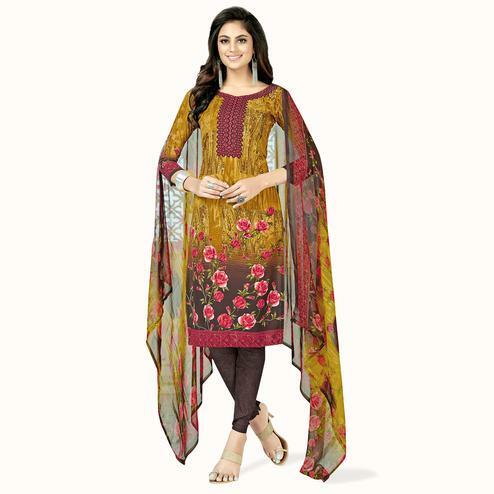 Outfit comes along with matching fabric bottom and dupatta. 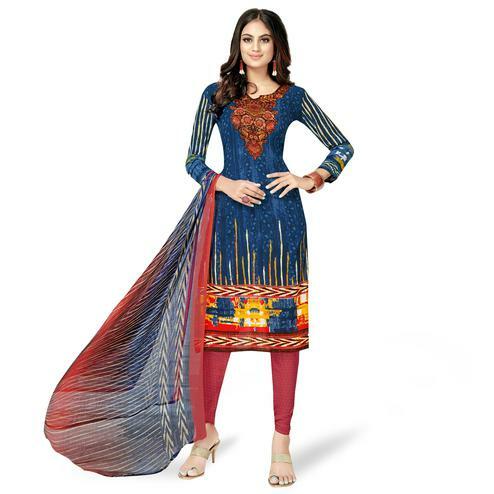 Pair it with ethnic accessories to elevate your ethnic look. 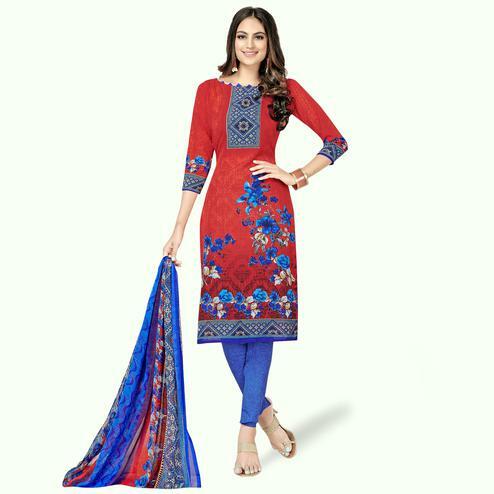 You can flaunt your style by getting this un-stitched suit stitched as per your requirement and wear it for your upcoming family parties, weekend get-together, casual wear, office wear and kitty parties.Team this with a pair of matching earrings and heels for the perfect look.